Viewers interested in Sky's next generation premium TV service will be able to order Sky Q from 9th February, with installations starting a few weeks later. Set up costs for Sky Q, which will feature Ultra HD content from later this year, will start from £99. According to Sky, the typical monthly cost for existing Sky+ customers will be around £12 extra compared with their current Sky+ package. For new customers joining Sky, the ongoing monthly cost for Sky Q will start from just £42. Not only the TV service will be premium: a dedicated customer service centre will handle Sky Q customer queries. And Sky Q customers will also receive servicing and mechanical fault repairs at no extra cost. 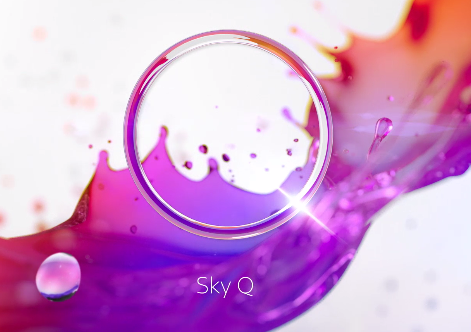 And everyone taking Sky Q – whether an existing Sky customer or new to Sky – will get a full professional installation as part of the set-up cost. “We’ve had a fantastic reaction to Sky Q. So I’m delighted to reveal the news that people will be able to get Sky Q for our lowest ever set-up cost for a new premium product. I do feel Sky have kind of misjudged the market with SkyQ - not really seeing what it's offering to justify the additional cost, especially compared to what else is around on the market in terms of Smart TVs and Netflix etc. Also think it's disgustingly elitist that they're basically saying upgrade to SkyQ if you want decent customer service.